1. 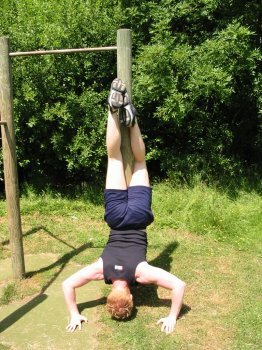 Get yourself into the position shown in the picture by putting your feet against a post or wall. 2. Raise and lower your body, you should feel a good workout on your shoulders and triceps. If you have trouble starting out, try doing half reps (ie. 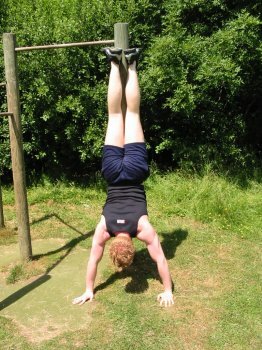 only doing the top half of the exercise) or try shoulder press ups until you can manage handstand pressups.